A letter came home on Friday to discuss two new initiatives @ Imperial for the New Year, please take a moment to read it, if you have any questions please call the school to discuss. Need a quick way to find out what school or schools serve your area? 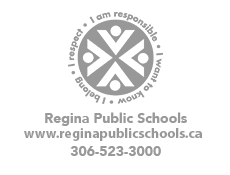 Regina Public Schools provides a school locator. Enter your address or the name of your housing development and it will provide the name of the schools. It will also tell you whether or not yo qualify for transportation. Read more about School Finder! Every Regina Public School and High School has a School Community Council (SCC).These SCCs were mandated by the Provincial Government to replace parent teacher associations; school councils; and home and school associations. To find out more about the school's School Community Council or to get involved please contact the school. Welcome to your new school website. This new version of the website system allows you to view it on any device. The new system is much simpler to navigate, is faster to load and should provide a much better experience overall. Read more about School Website Updates!